Welcome to the Family Faith Journey! At Christ Community Church, we believe God designed the family to be the primary disciple-making relationship in which children grow in their faith. The most important role you have as a parent is to help your child develop a strong faith in Christ. The Family Faith Journey gives parents a plan to follow as you intentionally disciple your children. Your may start today, no matter your child’s age — don’t worry about missing a step. You may go back and take up any step at any time. What is your Spiritual role as you begin to raise your young child? This workshop helps you understand how to intentionally lead your child into faith with Christ. Learn how to write a Family Covenant that will help guide you. Learn how to bring Family time and Blessings into your child’s life. Understand the meaning of Baptism and Dedication. Sign up online. Childcare available please RSVP to Arlyn. 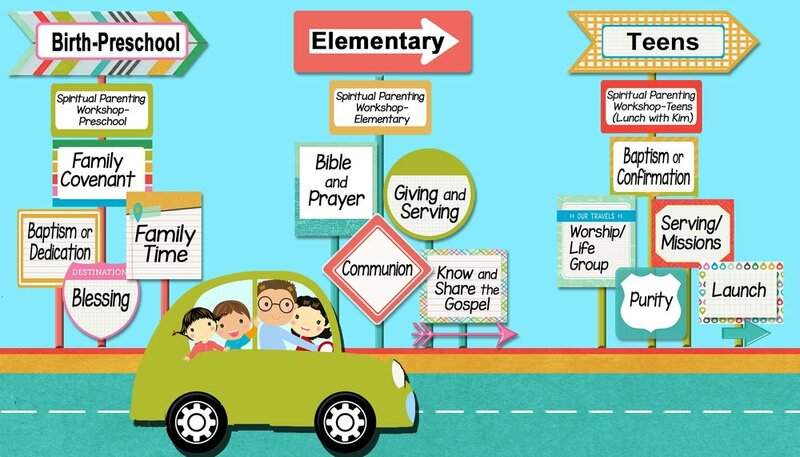 As a parent of an elementary student, learn to nurture your child’s faith by teaching him/her to love God’s Word and talk to God through prayer. Learn to feel comfortable sharing the Good News of the Gospel with your child. Find out the meaning of Communion and how your family can learn to cherish it. Sign up online. Childcare available please RSVP to Arlyn. Find out what to expect as you Spiritually Parent your teenager. Learn to be intentional about successfully launching your teen into leading a God honoring life as an adult. Understand what your teen will be encountering during their faith journey here at Christ Community Church. This ministry centers on parenting, marriage and issues involving the family. Parenting is rewarding and challenging! Marriage has its ups and downs. We want to equip parents of your families (with children up to 5th grade) with the tools to grow in their relationships and to lead well. Meets Sunday mornings. For more information, contact Pastor Johnson or 408-240-7920.